I am sitting here in Boston trying to plan airplane ticket to Peru, I am excited to know I will visit Aguas Calientes again, this is one of my favorite feelings on the planet. 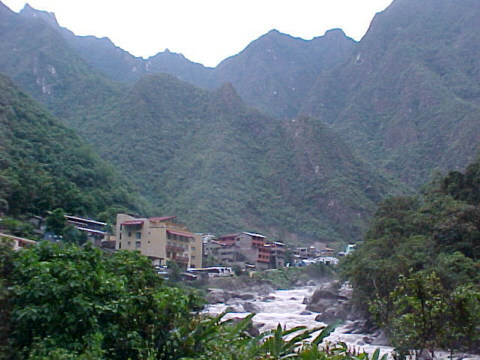 Aguas Calientes is the small village on a river embedded into the side of a mountain at the bottom of Machu Picchu. 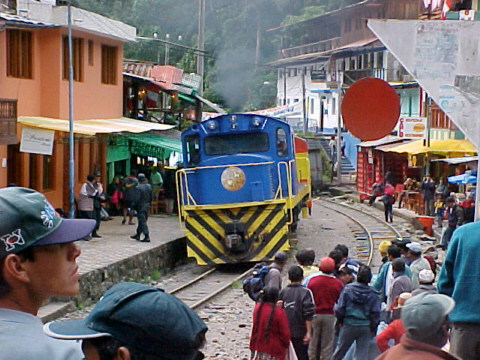 Photo of the train coming into Aguas Calientes, Peru. The village of Aguas Calientes from the walk path going towards Machu Picchu. I will return to Cuzco on the 21st of February. Aguas Calientes means hot waters as there is hot springs at the top of the village for dipping.